A new chapter is unfolding in the Tealridge retirement community history. Oklahoma Christian University recently sold its Tealridge retirement community located at 2100 NE 140th Street in Edmond to a local group with big plans for this well-known senior living community on the university campus. The new group owns and manages the Tealridge Assisted Living & Memory Care Community in Edmond as well as the University Village Retirement Community in Tulsa among other communities. However, leadership is based locally in Edmond. 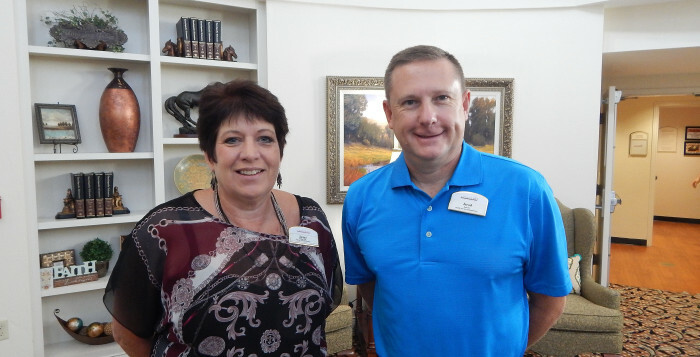 “With the addition of the Tealridge independent living community, we are now able to offer our residents a full care campus with housing options ranging from independent living apartments to assisted living and even memory care services – all in one location,” said Jon Paden, who leads the new group. The sale took almost two years to complete given Oklahoma Christian’s desire to find the right buyer and ensure the community continued to be managed and owned by a group with integrity as well as shared values and beliefs. The new owners are already starting to reinvest in the community with over $1 million funded for building improvements which will include updating all resident apartments, dining and social areas. 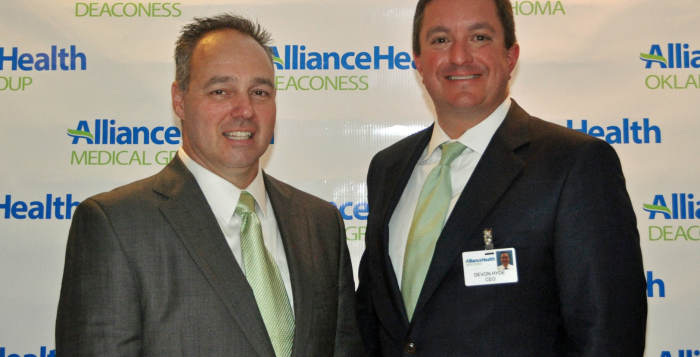 “We are excited to build on the great Tealridge reputation for quality in the Edmond community and we are blessed to be able to invest the money and resources needed to really create a special, yet affordable retirement option.” added Paden. 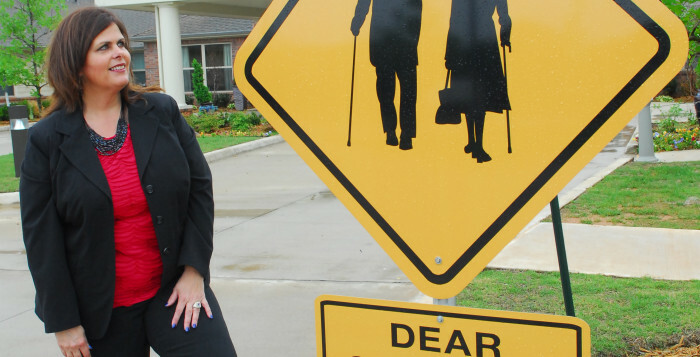 Daily operations will be managed by Melissa Mahaffey the new Executive Director at Tealridge Retirement Community. 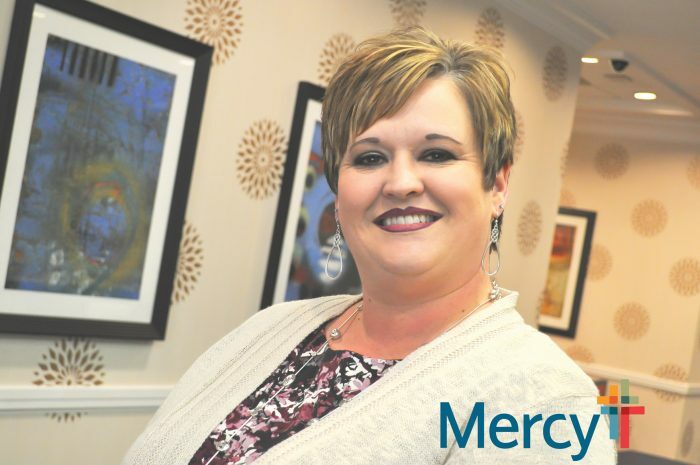 While she has extensive senior living management experience, Mahaffey credits her success from a genuine passion for improving the lives of her senior residents. 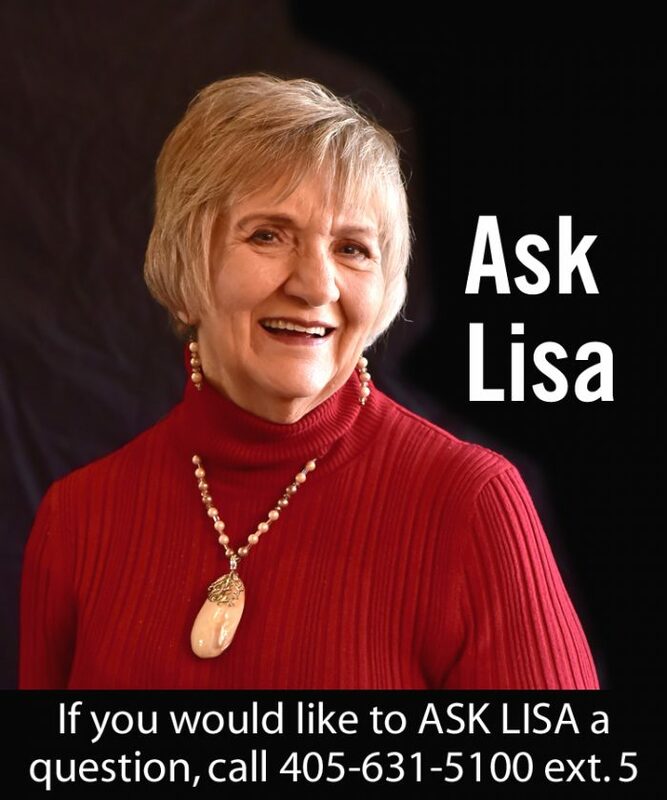 She also serves on the Oklahoma Assisted Living Federation. 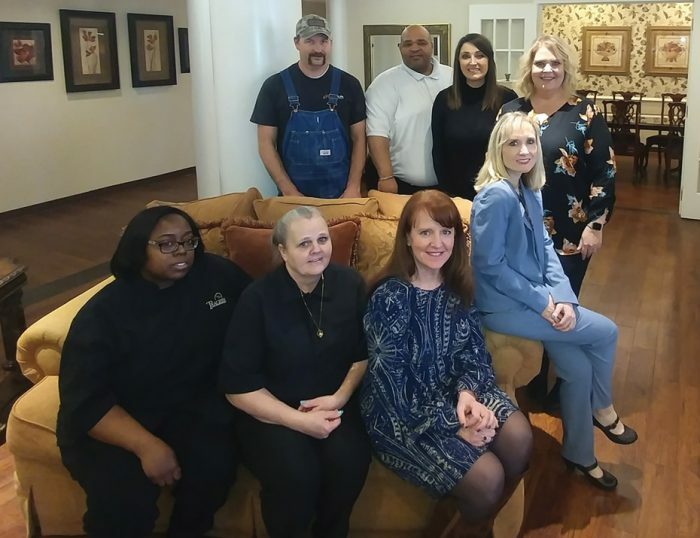 In addition to the great residents that already call Tealridge home, Mahaffey is building a team focused on placing a strong emphasis on customer service, hospitality and convenience for retirees regardless of what phase of life they are in, Paden added. To find out more about Tealridge you can go online at tealridge.com. Sarcoidosis patient David Key donated blood to the Oklahoma Medical Research Foundation's Saroidosis Unit to make a difference down the line for those suffering with the disease. The stabbing pains in David Key’s armpits awoke him from sleep one night in 2006. “It was excruciating,” said Key, 53, who lives in Oil Center, about 10 miles northeast of Ada. He cycled through hospitals and clinics, his condition worsening. He developed uncontrollable tremors and neurological problems and gave up his business. After a pair of strokes, he was forced to go on disability. Years passed, yet still he had no answers. Finally, one physician thought he recognized Key’s condition. A subsequent biopsy of lymph nodes proved the hunch: sarcoidosis, a rare disease that causes lumps of immune cells – known as granulomas – to form in organs throughout the body. “Unless patients’ first symptoms are in the lungs, they’re usually misdiagnosed,” said Courtney Montgomery, Ph.D., who studies the disease in her lab at the Oklahoma Medical Research Foundation. Scientists know little about what triggers sarcoidosis. It seems to start in the immune system, eliciting rampant inflammation. The tumor-like lumps can appear in the eyes, liver, heart, skin and brain and, most often, in the lungs. The disease can strike anyone, but it disproportionately affects African Americans. And, said Montgomery, it can be fatal. “The most common causes of death are cardiac conditions,” she said. Heart complications claimed the disease’s two most famous victims – NFL Hall of Famer Reggie White and comedian Bernie Mac – at the ages of 43 and 50, respectively. For Key, doctors have largely managed to control his symptoms through steroids and long list of other medications for the tremors, pain, depression and neurological issues. Still, he continues to experience near-constant pain in his chest. “Sometimes, I can swear I’m having a heart attack,” he said. 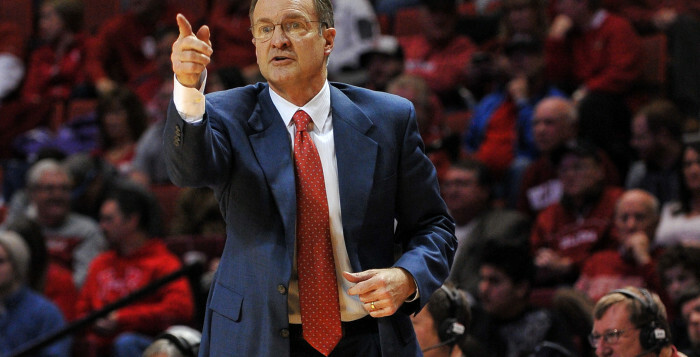 Last year, in an effort to help Montgomery and her OMRF scientific team better understand the disease, Key traveled to Oklahoma City to participate in a research study of sarcoidosis at the foundation. After filling out questionnaires detailing his disease and medication history, he donated blood for the researchers to analyze. “By studying what’s going on at a genetic level in patients with active disease, we hope to identify environmental triggers that initiate sarcoidosis,” Montgomery said. Ultimately, that work might point scientists to an effective treatment. For more information about sarcoidosis or to participate in research studies of the disease at the Oklahoma Medical Research Foundation, call (405) 271-2504 or email sru@omrf.org. Volunteers are the life-blood of non-profits. They may serve as board or advisory council members, in janitorial or maintenance positions, clerical, fundraisin, communications or as stockers in a food pantry. In other words, any position within the organization. On April 19, 2018, the Independent Sector, in partnership with IMPLAN, announced that the latest value of a volunteer hour is $25.69 – up 2.2% from 2017. That figure, estimated from data collected in 2017, shows the incredible contributions volunteers make to our communities and our country. Currently, 63 million Americans volunteer about 8 billion hours of their time and talent to improve people’s lives and the natural world. With the new value of volunteer time, these Americans are contributing approximately $197.5 billion to our nation. When someone says, “I am JUST as volunteer”, they are truly missing the significant impact they have on the nonprofit world. 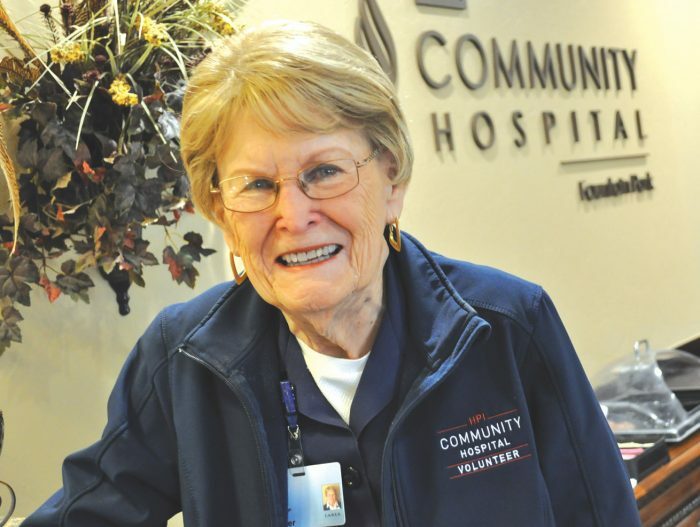 RSVP – Retired and Senior Volunteer Program – has served Oklahoma County since 1973. In 2017, 130 nonprofits in Oklahoma County were the beneficiaries of 136,700 service hours from 707 volunteers; a financial impact of $2.9 million. Beth Patterson, Executive Director of RSVP of Central Oklahoma, said that the need for more volunteers is critical to help local nonprofits meet their missions and the needs of their clients. 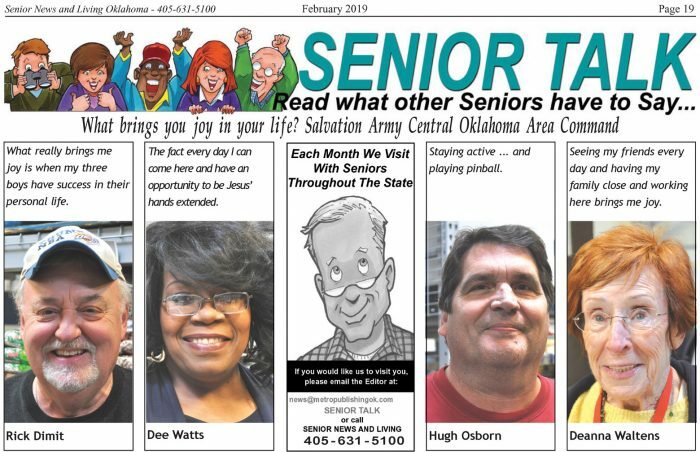 RSVP recruits and trains senior volunteers for agencies, such as; American Red Cross, Ronald McDonald House, Project 66 in Edmond, City Care’s Whiz Kids (tutoring), Upward Transitions Travelers Aid at Will Rogers World Airport, and RSVP Provide-A-Ride. In 1994, RSVP started Provide-A-Ride, a service providing low-income seniors free transportation to medical appointments. RSVP volunteer drivers, age 55 and older, utilize their own vehicles, choose their own schedules, select the geographic areas they want to serve, receive free supplemental accident and liability insurance, and mileage reimbursement. In 2017, 85 volunteer drivers provided 7,476 rides or 261,660 miles driven to medical appointments for 367 seniors. Provide-A-Ride participants must be 60+ and schedule rides in advance. Maintaining their independence and dignity, being self-sufficient, keeping medical appointments and becoming friends with the drivers are a few of the benefits participants receive through the program. For the drivers, knowing that they performed a much needed and valued service for someone, ensuring that they get their prescriptions filled and alleviating often burdensome transportation costs is what it is all about. 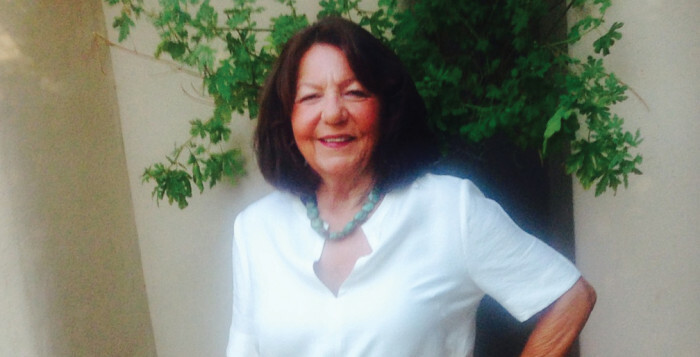 · Provide-A-Ride volunteers are angels on wheels. Thank you for your kindness in my time of need. Angie G.
· The volunteer drivers are so friendly and courteous. I feel like I’ve made new friends. Now I look forward to my appointments because of them. Mildred M.
· RSVP Provide-A-Ride has made all the difference in ensuring I get the proper care my doctors want me to have. Jerri B. 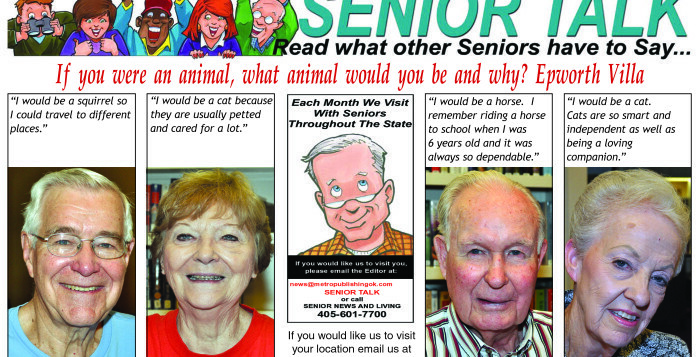 · I am 91 and have macular degeneration so I can’t drive anymore. Provide-A-Ride volunteer drivers are my eyes on the road now, and I am so grateful. Ida Jean K.
· Provide-A-Ride is a bright cheery ride for those of us who are not able to drive anymore. Nan G.
· I don’t know what I would do for rides to my doctors without Provide-A-Ride. Loretta A. · If I didn’t have Provide-A-Ride I wouldn’t be able to go to my medical appointments. 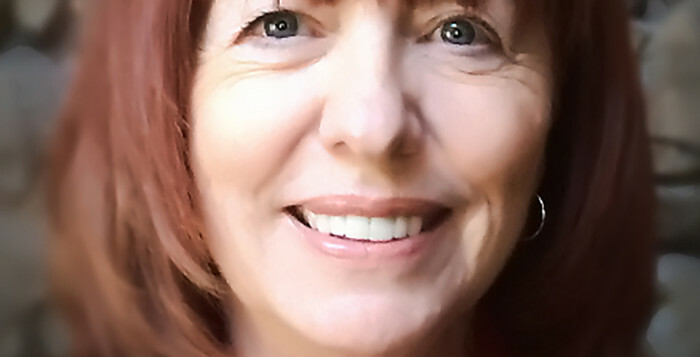 Deborah M.
· I’ve lost my husband and children, and I don’t have family close enough to help me. Bless you for caring for us! Billie B. If you are struggling with having reliable and affordable transportation to medical appointments, call RSVP to learn of your options. If you are looking for an avenue by which to give back to the community, what better way than to provide reliable, free transportation for fellow seniors. This is truly a win/win situation and the bonus is making new friends. RSVP will recognize approximately 300 volunteers at the Annual Volunteer Recognition Luncheon on April 17, 2019, at the Oklahoma State Fairgrounds Bennett Event Center. Sponsorships are available. To learn more about becoming a Provide-A-Ride participant, find out more about local volunteer opportunities with RSVP, or become a sponsor for the volunteer recognition, call 405-605-3106 or email beth.patterson@rsvpokc.org. RSVP is a part of the Corporation for National Service and a United Way of Central Oklahoma partner agency. SENIOR TALK: What brings you joy in your life? Kelly Wiedel and husband Bart have a ranch in Muskogee County. Kelly Wiedel is being recognized as a Significant Woman in Oklahoma Agriculture. Muskogee – A lot of people say they are thankful for what time has taught them. However, Kelly Wiedel, who ranches with husband Bart in eastern Oklahoma, has a lifetime of experiences to back that up. There are simple things she has learned. 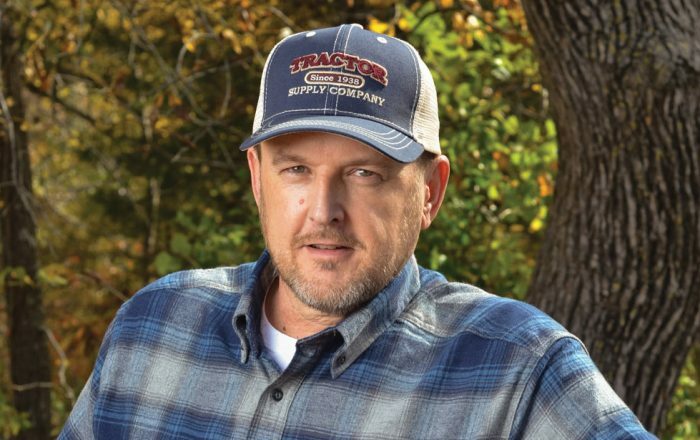 “I’ll never forget the day when my father-in-law Jim Wiedel said I had tractor driving in my blood because I asked him if I could rake again,” Kelly Wiedel said. She also won’t forget what she learned one day when she was out haying. “When raking hay with a tractor without a cab, stay away from bumble bees,” she said. Wiedel has painted countless feet of pipe fence and gateways. “From that I have learned to always paint with the wind at my back,” she said. There are also things she’s learned that weren’t so simple, such as the first time her husband was ever involved in a vehicle accident. She was a passenger. Kelly was only 6 years old when she met this lanky boy named Bart at church on a Sunday in the early 1970s. 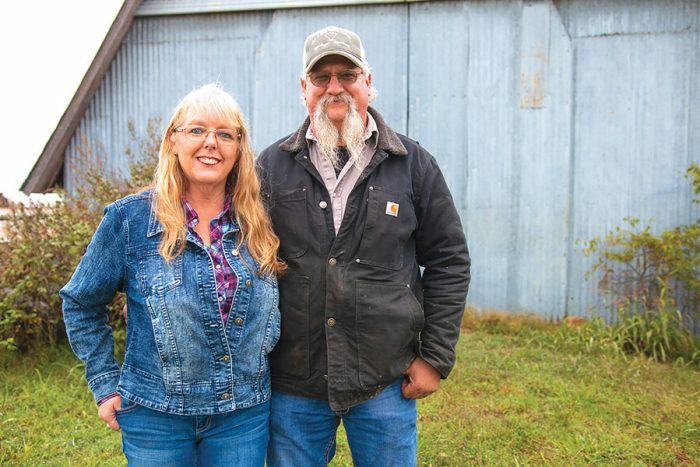 Her family had just moved to the area and as it turned out, she grew up living roughly 10 miles from his family’s cow/calf and haying operation. Kelly and Bart married in 1984 and started out with a small cow/calf operation near Muskogee. Three years later they became partners with his parents and together the families had 400 momma cows. In between then and now, they have purchased more land and cattle. 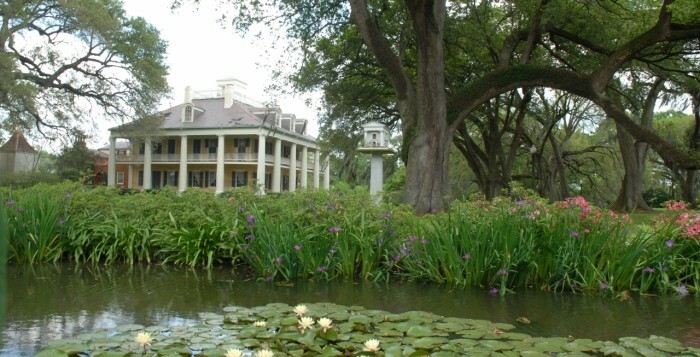 They have taken on the management of another 1,000-acre ranch. Beverly Delmedico has known Kelly and Bart for several years. While they are proud of their ranch, they are extremely proud of their family. Others have recognized the Wiedels as well. Kelly and Bart’s family received the Oklahoma Farm Bureau Women’s Leadership Committee’s District Six Farm and Ranch Family Recognition during the organization’s 77th annual meeting on Nov. 17. They have three children, James Robert Wiedel, Jared Jay Wiedel and Lacy Miller, along with six grandchildren. So, Kelly Wiedel says this about agriculture. Life on an agricultural operation provides its own forms of continuing education. There are the enjoyable lessons. “I am most happy on the ranch when it is spring time and all the baby calves are running around,” she said. Then, there are the challenging lessons. “We went through a bad drought and had to bale cornstalks to provide hay for our cattle, because we sold more hay than our fields made because of the drought,” she said. So how does Wiedel summarize the lessons learned so far in life? Like many, Karyl James, MSN, BSN, RN, Mercy Hospital CNO watched the frequent headlines marking deadly shootings. And the reports of violence inside health care showed no signs of slowing down. But what happens if the two scenarios combined? It was a question James and others in the Mercy system really didn’t want to think about, but one they knew they had to answer. “With all the public shootings going on our safety team in collaboration with nursing said we have to educate and do something about it,” James said recently. Through planning, discussion and scenarios Code Roscoe was born. The code is Mercy-wide, so all 45 hospitals in the system use it for any active shooter situation. Each unit must have at least two identified safe places that can prevent a shooter’s access to people. “It’s not just nursing it’s registration, it’s all of those individuals. The front door of the hospital is registration so they need a safe place,” James said. Planning for the unknown is a constant battle. Knowing who might have a gun is another. A former ER nurse, James is familiar with both. “Unknown was just kind of second nature for me and personally, I’ve had a gun pointed at me as an ER nurse many years ago,” James said. It was an eye-opener to say the least. James knows working without a plan would shortchange everyone. That’s why she’s invested in the planning, hoping it will never be put to use. The first drill that was run pointed out several instances where locking mechanisms didn’t work the way they should have. The second time the code was called it wasn’t a drill. Out of instinct the first thing James did was call the house supervisor. That wasn’t protocol. The house supervisor did answer and whispered to James she and several others were huddled under a table in the nursing administration offices. Officials also learned the emergency locking button that seals all doors in the emergency department did not work. Mercy has had Code Roscoe in place for nearly three years now. It’s evolved along the way. Planning for the unexpected is challenging to say the least. “There’s always something new and I think you have to be flexible to understand you don’t have everything figured out and you never will,” she said. Most people may only think of Mount Rushmore when they think about South Dakota. While it is not to be missed there are other attractions which need to be recognized. you can ponder the truth at the foot of Wild Bill’s grave in Mount Moriah cemetery (along with Calamity Jane’s), tour Adams Museum and House, pan for gold at the Broken Boot Mine, choose from various guided tours, or take a self-guided walking tour into the past that puts the Wild West into perspective. 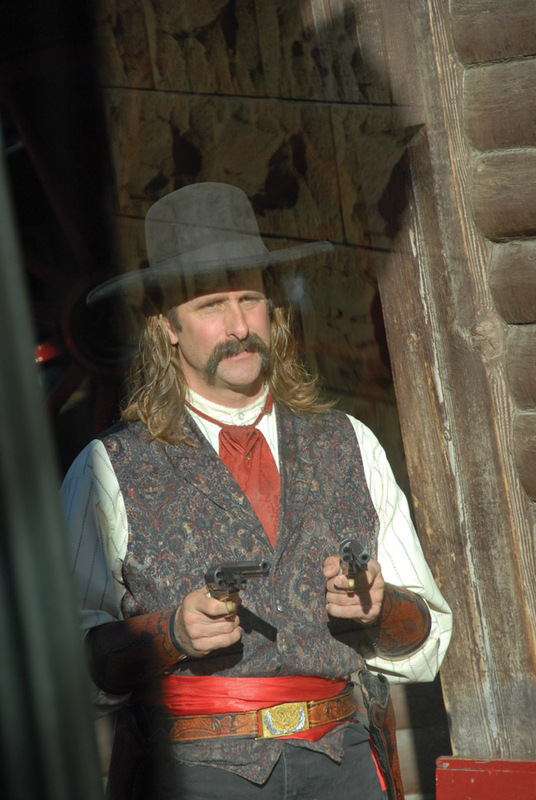 You may even run into an incarnation of Wild Bill himself, either at the number 10 saloon or on horseback inspecting main street. And there’s plenty of casinos for your gaming pleasure along with some fine eateries. One such is Kevin Costner’s Diamond Lil’s, where I had a pleasant Martini during sunset over main street. Costner’s memorabilia and costumes from his films are on display throughout the dining room, and if that was not enough finery, the top floor hosts a fine dining restaurant complete with piano and beveled glass décor. Deadwood, South Dakota, is full of surprises such as Costner’s founded and funded Museum of the Tatanka (Buffalo) Museum right outside of town. Even with expert Lakota interpreters, displays of costumes worn in “Dances With Wolves”, and historic explanatory panels, the best part of Tatanka is the monumental 17 part sculpture of an Indian hunt near a buffalo jump. With wafts of movie theme music and the rustling of Dakota grass, this hill top venue is the pride of South Dakota, itself. Hats off and congratulations to Kevin Costner for giving back to America with the preservation and inspiration found at Tatanka: Story of the Bison interpretive Center and Sculpture. (For more information you may visit http://www.storyofthebison.com. Up to 60 million Bison once roamed the Great Plains of North America. By the close of the 19th century, it was estimated that less than 1,000 bison survived. The badlands is another South Dakota wonder. (www.nps.gov/badl/index.htm) Roaming among the many outcroppings of natural time sculptured stone you are transported to another world. Containing the world’s richest Oligocene epoch fossil beds, dating 37-28 million years old, the evolutionary stories of mammals such as the horse and rhinoceros arise from the 244,000 acres of sharply eroded buttes, pinnacles, and spires. Hill City calls itself the Heart of the Black Hills. The history of Hill city reaches back into Pennington County’s oldest archives. In 1876, it was the first settlement established in conjunction with the initial discovery of Black Hills gold in French Creek, 13 miles south of where Hill City sits today. Miners came from far and wide to prospect in and around this small mountain town, now referred to as “The Heart of the Hills.” Although the first settlement in the count, it was the second community to develop in the greater Black Hills area, springing up shortly after the town of Custer. In addition to livening up the local scene in the dark of winter, Open Stage Concerts gives new talent and seasoned acts alike a supportive place to hone their craft. It also helps local promoters find and hire performers for summer shows and festivals. Local and regional singer/songwriters and poets are regulars, but storytellers, dancers, jugglers, and joke tellers are welcome too. The audience’s free-will donations help support their scholarship program and art education grants for local kids. Open Stage concerts at the High Country Guest Ranch will be held February 9 and 23, and March 9 and 23, with doors open at 5:15 pm with the buffet starting at 5:30 pm. Other Hill City attractions are the Museum at Black Hills Institute and the Black Hills Institute of geological Research and the South Dakota State Railroad Museum which might quench your curiosity. 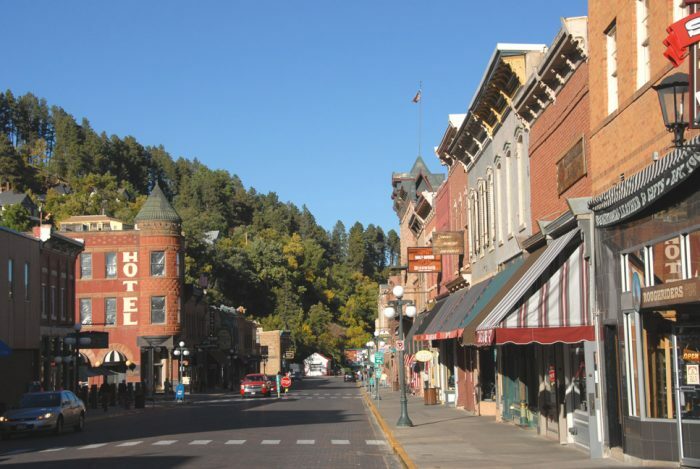 While on your way to other South Dakota sights you may wish to explore Deadwood and Hill City. 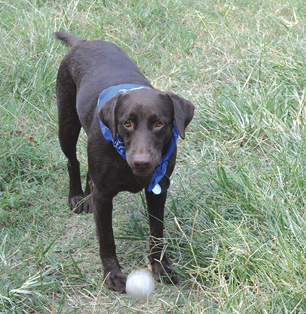 A chocolate Labrador Retriever named Penney and a passion for old maps led to a unique business opportunity. 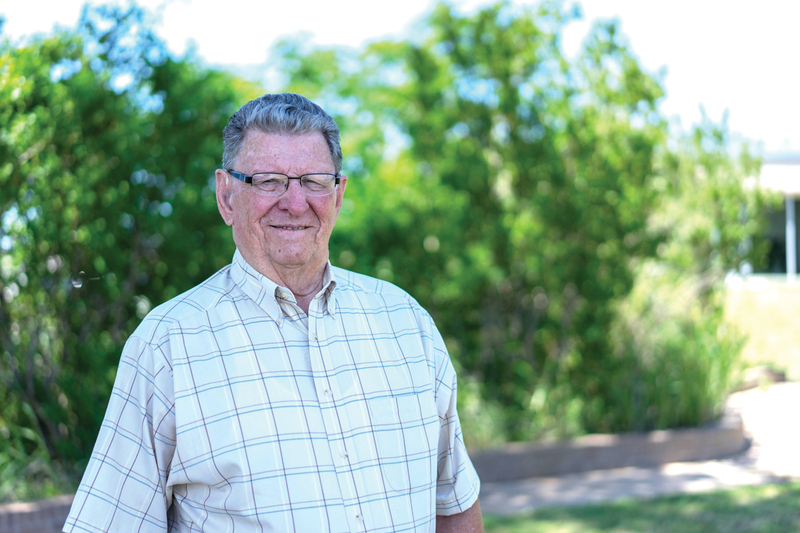 “I am nearing retirement and decided if wanted to retire to the country where Penney would have a place to run, I would need to have a small business to make ends meet,” said Mike Howard, owner of Penney’s Territorial Maps. After collecting old maps for many years, Howard began copying them and hanging them up at work and in his home. One thing led to another, and before long people were requesting them. 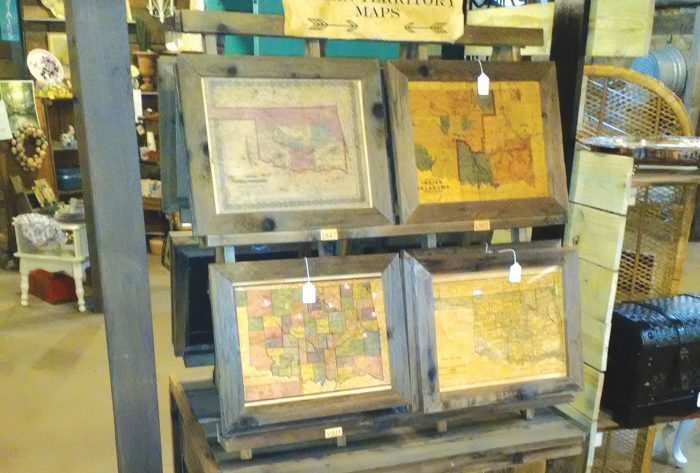 Howard reproduces the old maps that are artificially aged and then sets them in rustic wood frames. Howard said he loves the reaction his customers have to his maps. Established in November 2016, Penney’s Territorial Maps joined the Made in Oklahoma Program this year. To learn more about the business, visit www.madeinoklahoma.net/products/penneys-territorial-maps/ or find them on Facebook. Brightmusic Chamber Ensemble presents fine classical music in an intimate, family-friendly setting. All concerts will take place at 7:30 pm on Tuesday evenings at the beautiful and historic St. Paul’s Cathedral in downtown Oklahoma City at 127 NW 7th Street (at Robinson). Bright Music website, www.brightmusic.org, contains more detailed information about this concert, including the musicians who will be appearing. Season passes are available online, and individual tickets are available at the door for $20. Admission is free for children and students with student ID and for active-duty military service personnel with ID. Tuesday, March 19, 2019, 7:30 pm at St. Paul’s Cathedral, 127 NW 7th Street (at Robinson). Experience the exquisite richness of woodwinds as the Brightmusic Chamber Ensemble presents a diverse sampling of 18th- through 20th-century works for reeds in its fourth concert of the 2018-19 season Tuesday evening, March 19, 2019. On the program are worthy works by Saint-Saëns and Glinka, as well as three of the worthiest French composers and a Czech you’ve probably never heard of. This is a rare opportunity to hear these delightful but less frequently performed works, some by composers who are best known for their compositions for the wind ensemble. Plenty of charm! Plenty of delight! Plenty of reeds! Francois Devienne, Trio No. 5 in B-flat Major (for flute, clarinet & bassoon), Mikhail Glinka, Trio Pathétique in D Minor (for clarinet, bassoon & piano), Florent Schmitt, A Tour d’Anches (“Reeds in Turn”) (for oboe, clarinet, bassoon & piano), Clemence de Grandval, Trio de Salon, op. 8 (for oboe, bassoon & piano), Lukasš Hurnik, Fusion Music for Oboe, Clarinet, Bassoon & Piano, and Camille Saint-Saens, Caprice on Danish and Russian Airs (for flute, oboe, clarinet & piano). Parthena Owens, Flute, Lisa Harvey-Reed, Oboe, Chad Burrow, Clarinet, Rodney Ackmann, Bassoon , Ruirui Ouyang, Piano and Sallie Pollack on the Piano. The performance will take place at St. Paul’s Cathedral, 127 NW 7th Street (at Robinson). Individual concert admission is $20 per ticket. Children, students and active-duty military personnel are admitted free with ID. More information about this concert is available on Brightmusic’s website at http://www.brightmusic.org.